The international Genetically Engineered Machine (iGEM) organization is a highly accomplished synthetic biology competition aimed mostly towards undergraduates. It began in 2003 as a course at MIT and has since expanded to over 350 teams registered in recent years. Yes! Each year, the iGEM Jamboree is an international conference hosted in Boston, MA that brings together the brightest minds in the field of synthetic biology. It is the largest and one of the only synthetic biology competitions for high school, collegiate, and entrepreneurial teams. iGEM teams improve upon an existing project or develop a new one each year, projects pertaining to the development of synthetic biology systems for application in society. They analyze the project through their various subdivisions' outlooks, and come together at the end to present the project and have it evaluated at the iGEM Jamboree alongside international teams.  What can I expect out of participating with iGEM McMaster (mGEM)? Bioinformatics, wherein members gain knowledge in programming, gene mapping, statistical analysis, 3D modeling, and assay analysis. Wet Lab, wherein members are mentored to learn how to perform assays, follow scientific protocols, experiment under time constraints, understand how to modify cellular parts, and work in a lab. Human Practices, wherein members learn how to reach out to and conduct interviews with experts in the community and Canada to learn about the ethics and policies surrounding the topic of the project, write discussion papers, and lead outreach efforts in the GTHA region. Graphics, which develops all graphics-related need for each subteam and the team as a whole (including those presented at the Jamboree) through photo editing, digital arts, and merchandise making. Altogether, iGEM helps students gain a depth of understanding in not just the fields of expertise of their own subteams, but also in the real world applications and potential impacts of scientific research through cross-collaboration experiences between the subteams and across different iGEM teams around the world. DO I NEED ANY EXPERIENCE TO JOIN? The short answer is no, not at all! The only thing you need is a desire to learn more and gain more skills. The longer answer is that unless you are applying for a mentor* position in the team, all members do not require any lab, computer, or research skills at all. Instead, all members are fully trained by mentors and exec members to learn the skills and knowledge required to help accomplish the research project. Of course, having some background knowledge and previous experience helps in actually executing the project; however, we look for those who have passion, dedication, and willingness to learn new things. *Those looking to be mentors will apply as part of the subteam they wish to mentor. Here, we will be looking at background knowledge, past research work or skills, and any experiences that you possess that may help the junior members joining the team. When Does Recruitment Start/How can I Join mGEM? We typically enter into a transition period after each Giant Jamboree competition conference, which typically occurs in late fall (from around October to November). The transition takes a few weeks. After this period is settled (now around mid-November to mid-December), recruitment opens up. Written applications will be released on the homepage of mgem.ca, through our mailing list (which you can join by subscribing here), and on our social media pages (Facebook, Twitter, and Instagram). All written applications are then reviewed our executive members, and candidates will then be notified of whether or not they have attained an interview. Candidates at the interview stage will then meet with their potential subteam head along with one other executive. After interviews, all candidates will then receive news of their status on the team. This step may take 2-3 weeks in total. Your first meeting with your subteam will take place in mid- to late January, and a general meeting with the whole team in late January to early February. Project planning and subteam training will then commence throughout the second term (from January to April), where meetings with your subteam will occur on a weekly to biweekly basis. Daily, or near-daily, work in the lab should you be a part of Wet Lab. Please note: this is a heavy commitment, requiring availability in all of the summer month (May to August) for members. Weekly one-hour meetings, a handful of hours each week for interviews and stakeholder engagement, and a few hours set aside for individual work should you be a part of Human Practices. Weekly one-hour meetings, along with a few hours set aside for individual work, should you be a part of Bioinformatics and Graphics. All members of Wet Lab, Bioinformatics, and Human Practices will also meet together at tri-research team meetings, which last for one or two hours and occur every other week. iGEM McMaster changes its project aim and field each year, depending on both our members' interest and the PI and lab with whom we work. As such, we will only be able to exactly define the projects' scope and goals late in the second term of the school year (late Winter or early Spring). What was your most recent project like? You can learn more about all of our past projects here! You can subscribe to our mailing list here, or visit and subscribe to our social media pages (Facebook, Twitter, and Instagram).